This version does not need to be printed. See the instructions below. You no longer need to print and sign your form. The workflow is completely online. Once you complete your facility form and submitted it, you will receive a confirmation email. See the screenshot example below. If you require Food Services for a meeting, on the bottom of the Room Setup page check "Yes" to access the Food Services form. Once your form is submitted and approved, Food Services will receive an email with your Food Service Request. 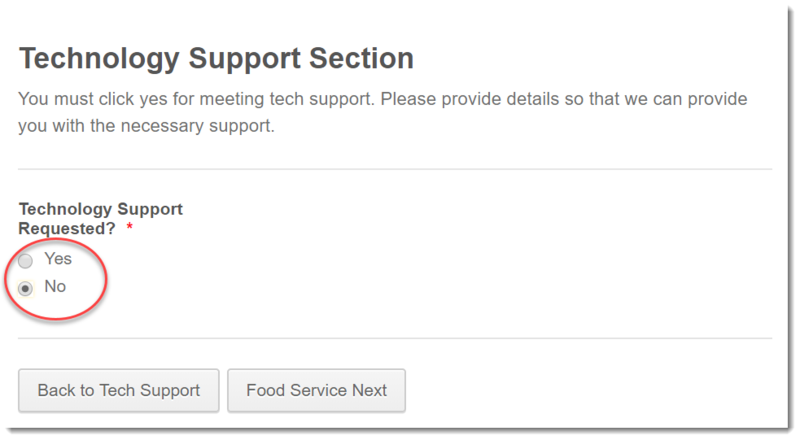 If you require Technology Support for a meeting, check yes page check "Yes" to access the Technology Support section of the form. Once your form is submitted and approved, A Tech Support ticket will be created, which you should see in your email inbox.